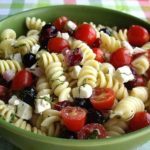 Tomato and blueberry rotini salad is a very pretty and refreshing salad for your summer table. The vinaigrette really makes this salad something special with a sweetness that perfectly compliments the saltiness of the feta cheese. Make the vinaigrette: In a small bowl, whisk together mustard and vinegar, then slowly drizzle in the olive oil. Add the lemon juice, honey and shallots. Season with salt and pepper to taste. Set vinaigrette aside. Bring a large pot of lightly salted water to a boil, add the pasta and cook to al dente. 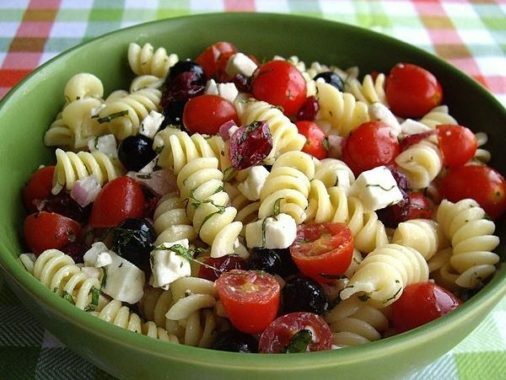 When the pasta is cooked, drain it in a colander and run under cold water until cool to stop cooking. 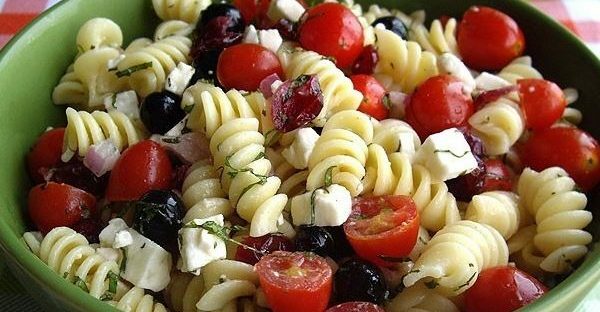 Once pasta has drained, toss it in a big bowl with all of the ingredients. Drizzle with vinaigrette and incorporate thoroughly.